Debt will control your life if you let it – so make a commitment to aggressively work towards getting rid of it and take control of your finances. How is debt controlling your life? Imagine that all your debts suddenly vanished, never to come back again. Can you visualize how that freedom would change your life? You’d no longer have to make decisions, major or minor, with your debt in mind. Debt will control your life if you let it – so make a commitment to aggressively work towards getting rid of it and take control of your finances. Does the word “DEBT” make you run away? Are you seeking answers and solutions to becoming debt free? Or are you already debt free? 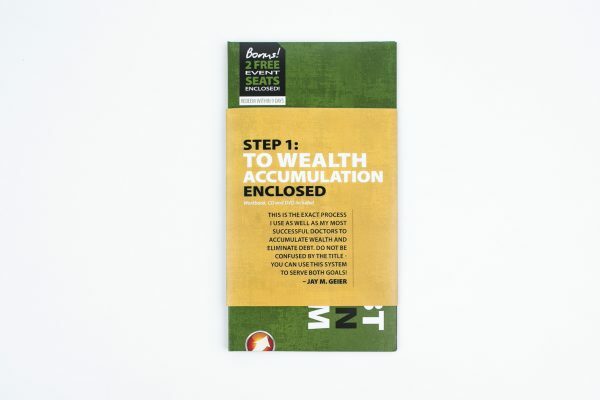 Regardless of which position you’re in, Jay’s Debt Reduction and Wealth Accumulation System will teach anyone how to take control of your finances, get out of debt and accumulate wealth. If you consistently focus on paying off your debts or accumulating wealth for an extended period of time, it will continue to get better, easier and more exciting. Take your position and go get started! Jay’s Digit System: Learn how to pay off your debts with this simple process. It’s not only a timely system, but also encouraging! Learn Jay’s conservative strategy for paying off debt in the quickest, simplest way possible. It’s easy to track, monitor and plan for. Paying off debts should be random… you need a system in place! Once you’ve eliminated all of your debts you want to focus your efforts into the three major areas where you can accumulate money. Look into each of these areas and set a target. The amount of change that we have seen over the past two years is literally jaw dropping. We never thought it could be possible to transform your financial and family life this dramatically in such a short period. Jay gave us a countdown clock and a vision. Karen and I then set out to make it happen. The outcome was worth any price! Thanks Jay. Just wanted to let you know that we paid off the mortgage to our home this month. This is in addition to having double tuition with both our sons in college right now. We have paid off $217,000 of personal and practice debt within 7 short months, We have also been able to save an extra $60,000 towards our next practice adventure. Thank you, Jay, and all the Scheduling Institute Team for helping to keep us motivated.